Launching my North American tour is everything I ever dreamed it would be. I only see Gabby in weekends shoehorned around shows. Stolen moments where she can come to me or I can take a break to visit her. Holed up together in a hotel. It’s better than nothing, but it’s a far cry from my ideal. Without her none of this would be happening. It seems wrong that she’s not with me. Returning to school without Jonathan is everything I feared it would be. Even surrounded by friends, there’s no one who understands the difficulties of juggling all the demands on my time. I want to quit and join Jonathan, but how can I give up on my own dreams? I know I wouldn’t be happy just as a rockstar’s girlfriend. But my punishing schedule, jet lag, and distance all strain our relationship and communication. And I’m afraid that if we continue like this, something will eventually break. 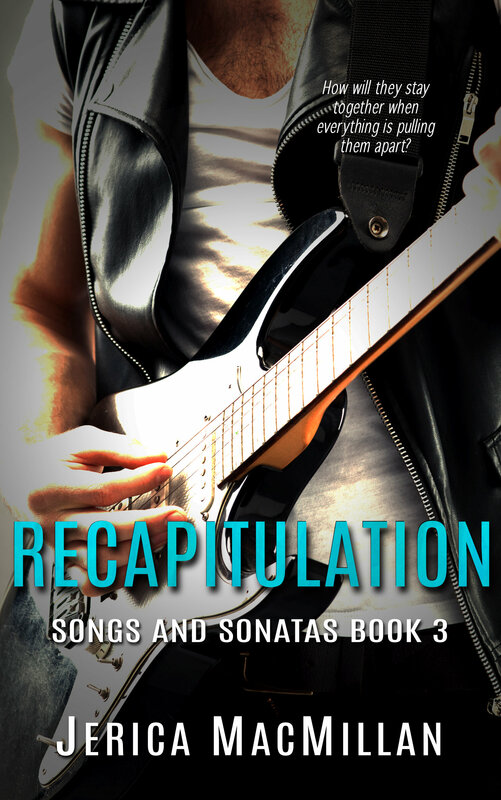 Part rockstar romance, part coming of age story, Recapitulation brings us full circle, back to Marycliff University, but with a twist. It’s a story of staying true to yourself and following your dreams in the face of pressure on all sides. The stunning conclusion to Jonathan and Gabby’s tale gives you everything you want in a romance novel—sizzling heat, heartfelt emotion, and most importantly, the happily ever after. Jerica is a talented author who knows how captivate her readers to keep then wanting more.